Today I would like to present Automatic Optic Inspection machines. 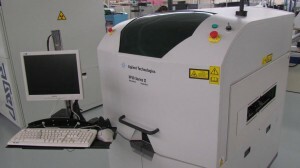 These machines have become increasingly essential in the PCBs manufacturing process. Indeed, human control becoming too long and tedious, it makes more sense for a company to invest in this type of machine and thus make the business profitable. AOI machine can perform multiple tasks such as inspection of weld quality components, verification of their location in X and Y or the automatic detection of the legs’ defects. As the electronic components’ technology evolves, these automatic optical inspection machines become increasingly necessary for companies specialized in boards’ assembly. Indeed, the AOI will allow the thorough inspection of PCBs and thus ensure its proper functioning. In addition, the use of these machines will guarantee the company an analysis and flawless inspection, which is not the case when we take into account the potential risk of human factor. These inspection machines thanks to their speed and reliability analysis will also enable the increase of productivity gains and ensure the profitability of the company . The use of such machines allows among others to notice and correct any defects in the electronic cards. It is better to inspect the cards at the beginning of the production process in order to avoid producing a large amount of boards with the same defects . The automatic optical inspection system can acquire millions of data points (pixels) in a fraction of a second. These data points are used for the visual inspection . The AOI system will then scan the surface of the printed circuit. This is lit by several small lights and analyzed by a scanner or by a number of high definition cameras . This enables control of all parts of the board, even those potentially hidden by other components. Each manufacturer of automatic optical inspection machines use different inspection systems requiring algorithms and lighting techniques variations. 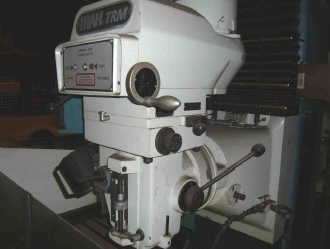 Check our offers of used inspection machines on our online catalog exapro.com and do not hesitate to contact us for more information. You can also publish your inspection machines easily by clicking this link: http://www.exapro.com/add-product-step-1/.